Vinyl's a treasure for many. Those smooth, round pieces of black wax often hold memories, meaning they're hard to let go. Record hoarding is definitely a thing, but there's some positive news for those with a tendency to collect things in bulk and refuse to get rid of them. The act of hoarding is now officially recognised as a medical disorder by the World Health Organisation (WHO), which describes it as the "accumulation of possessions due to excessive acquisition of or difficulty discarding possessions, regardless of their actual value". Hoarding disorder is now included in the International Classification of Diseases. This means that doctors will now have a "definite diagnostic criteria", according to Linda Fay of Life-Pod, a charity dedicated to "people who are affected by hoarding disorder". Fay has also called on the UK government to launch a taskforce to tackle the disorder. 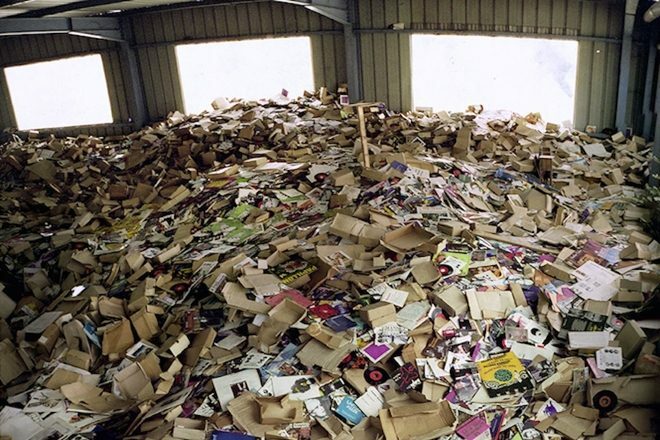 So for all you house music hoarders who can't face donating your 10-years-untouched vinyl to charity, just know there's help out there for you. The fact that vinyl sales are on the up probably isn't helping the matter, either. It is helping out charities, though. Watch Wes Baggaley's vinyl-only set in The Lab LDN below.